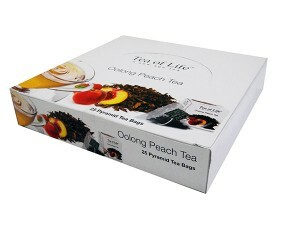 Oolong tea is Green Tea that has been partially fermented and when brewed has a traditional melon coloured liquor. Can be served either Hot of Iced with sliced Strawberries and Fresh Mint. 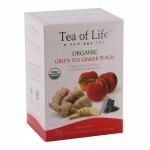 Brew Time: This tea is best when brewed between 2 and 4 minutes. 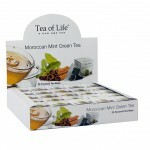 Each Tea of Life Tray is packaged with 25 Individually Cello Wrapped boxes and each are Labeled for Resale (UPC Scan). The Tray is designed to open for a counter display. Each box contains One Biodegradable String & Tag Pyramid Tea Bag with Loose Leaf Teas and Fruits & Herbals depending on the style. Our Pyramid Bags are made for us in Japan from a corn starch derivative, and are degradable with exposure to sunlight and moisture. This insures our customer of the finest, pure, brewed tea experience. 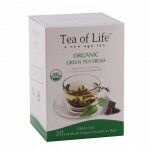 Total Units: 25 Individually Wrapped boxes for Freshness. 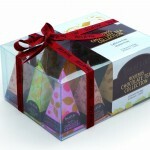 Perfect for Catering, Tea Shops, Bed & Breakfasts, Coffee Shops, Event & Wedding Planners, Cafe’s, Travel Teas and for use at Home.